Ever wanted to learn more about France? 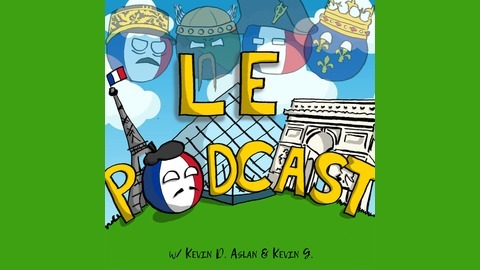 Then welcome to Le Podcast, where Kevin D. Aslan and Kevin G. discuss French current events, politics, culture and history! Intended for both the uninitiated and die-hard fans of the nation that gave us La Revolution, join us for a fun trip down France’s complex landscape, complete with dives into pop-culture and glasses of French wine.
. Le Podcast Ep.10 : Four French Icons You Never Heard Of Johnny. La Fontaine. Bernard Tapie. Vercingetorix – all French household names that have shaped generations – and yet weirdly, are completely unknown outside of France! Discover them with Kevin & Kevin! . 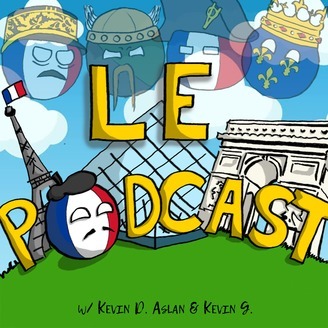 Le Podcast Episode 6: What Is Bastille Day?